Property 1: Cottage in Pembrokeshire National Park . Close to beaches, coast paths, castles. Property 10: Characterful cottage in beautiful, quiet, rural location close to the coast. Two beaches and coastal path in easy walking. Edge of village location. Property 13: Two beaches and coastal path in easy walking. Edge of village location. 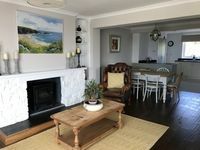 Property 14: Rural retreat, central to beaches and all attractions.Dogs welcome.. Relaxing. Cosy Cottage. Log Stove, Private Walled Garden, Coastal Walking From The Door. Property 21: Cosy Cottage. Log Stove, Private Walled Garden, Coastal Walking From The Door. Property 23: Character Cottage near St David's. Pembrokeshire Coast National Park. Comfortable and warm cottage for two. Property 24: Comfortable and warm cottage for two. Property 27: Romantic Log cabin, eco, broadband, 4 poster bed and private hot tub. Property 34: Delightful family cottage with large garden, amazing sea views, in the village. Property 35: Comfort, peace and wild beauty yet close to Coast Path, beaches and village. Property 39: Garage conversion next to main house, 2 acre garden/ surrounded by trees/fields. Property 44: Beautifully furnished home from home , set in the heart of Pembrokeshire. Property 46: Detached cottage in delightful rural setting. 400 year old cozy cottage perfect for family fun and secluded romantic getaway! Property 50: 400 year old cozy cottage perfect for family fun and secluded romantic getaway! We had an amazing time in Llanrhian at Rhoslan cottage. The cottage was immaculate with everything needed for a relaxing weekend away. It was clean and comfortable with an amazing view of the sea and Welsh countryside. 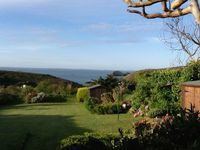 It was perfectly located, close to great pubs, st davids and some popular sites (I.e. Blue lagoon, Whitesands bay). Sandra was a great host giving us a lot of information about the cottage and surrounding areas. All our queries were responded quickly! We hope to stay again soon. We had a lovely stay at George House and would not hesitate to return or recommend to our friends and family. To summarise the best points.... The location cannot be beat, especially with kids. When you are in the cottage/garden you think you are miles from anywhere with a view to die for despite being on the main road and two houses down from a pub (neither of which we heard). A ten minute walk down a lovely path takes you to multiple pubs/restaurants, harbour with its lovely beach when the tide is out, costal path etc. Our children (youngest 4 years old) loved walking the path to and from town so we were able to have lovely early dinners out just a short stroll away. And when we were too lazy to venture to beaches further away, we took a picnic lunch and had a lovely time on the local tidal beach. St David's is only a 10 minute drive away and had anything you could need not found in Solva. The cottage is very well equipped...everything needed to cook in the kitchen, laundry room, hairdryer, garden games, crabbing equipment etc. Did not miss anything. Within minutes of sending my initial enquiry Patricia was on the phone from Europe to Dubai. Very prompt with any questions and couldn't have been easier to deal with. The view is absolutely stunning and the garden such a wonderful place to relax.